Board index ‹ Show us your photos of archaeological sites! ‹ Show us your photos of archaeological sites! Have you been to great ancient site? Show us here and tell us about your experience! To that end, Photobucket.com has a new feature called the "Bulk Uploader" which allows you to go through an entire directory and select which photos you wish to upload by thumbnail instead of having to individually select them. It makes the process infinitely faster and simpler. I count as least 8 structures which could be classed as "mounds." 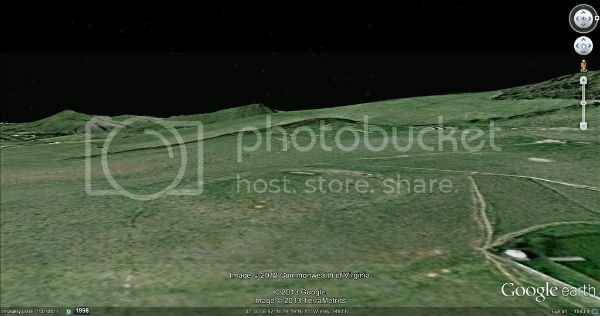 [img ][/img]The possible mound is the green "footprint," square in shape, in the foreground of the image on the ridge top open area. The image shows a smaller round, less green area in the center of the footprint. This is one of many possible mounds found in my neighborhood in the western Virginia Blue Ridge and nearby Shenandoah Valley. This mound is associated with a possible terrace complex nearby. Often the only evidence left on the ground of these possible mounds is this "shadow" that has no elevation left to it. Others still show some height. 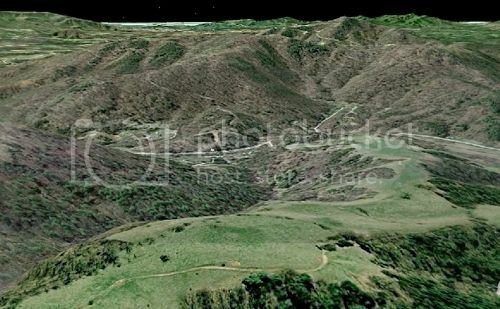 The above image is of one such possible mound in the Shenandoah Valley area of Western Virginia. what is the significance of the feature ? Could you provide the co -ordinates for the site please ? This possible mound is on private property as well, but I believe is known about. Several years ago I looked around the neighborhood of my mountain site to identify possible mound sites and found many candidates. I am aware these simply look like they could be mounds and there may be a myriad of explanations as to what they actually are. There are confirmed mound sites that have been studied in the area that are presently attributed to the Monacan Indians. One such mound is the Walker Creek site which was excavated in the early 1900's and was determined to be a burial mound. This image (subsequent) location is not very far from the Walker's Creek mound. I do not know the significance of the site represented in the subsequent image, but I think there is a fair chance that it is a mound. Return to Show us your photos of archaeological sites!